Cosy lounge with space for all the family. Homemade cake and cookie mix. Kids bedroom set up as a single with room for a cot. 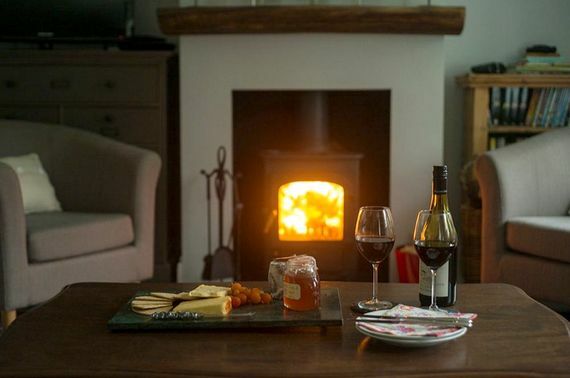 Nestled in the heart of the spectacular New Forest National Park, Tiptoe Cottage is a luxurious family-friendly retreat in prime wildlife spotting countryside with the added benefits of a heated play house and a selection of good food pubs on the doorstep. 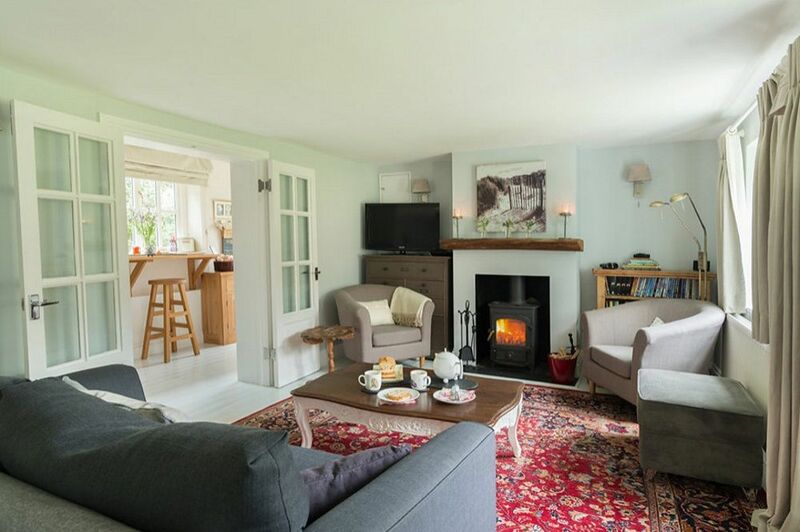 This stylishly furnished 3-bedroom cottage is decorated in restful greys with cosy soft furnishings and a romantic log burner. 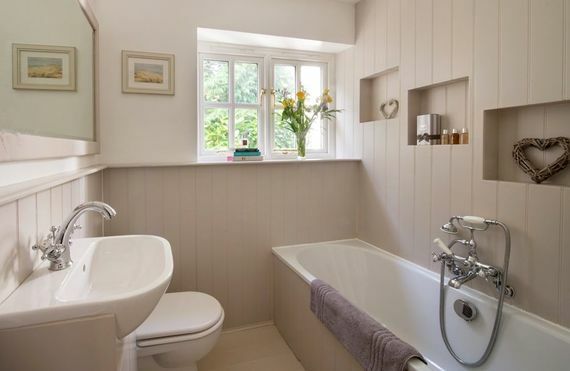 Its original, thick, cob walls are centuries old and keep it toasty warm in winter, but wonderfully cool in summer. Although, with a huge half an acre garden, playhouse, play fort, BBQ terrace and firepit (safety cover included), guests are most likely to enjoy the great outdoors whilst in residence, especially when there are wild ponies, deer, badgers and squirrels to be spotted! Along with the play fort and play house, there’s a sand pit and paddling pool for little ones to enjoy outside and handy collection of toys, books and games for indoors. Parents will be pleased to learn that all essential baby kit (see Fast Facts for details) is provided, so there’s no need to start off on a stressful note when loading up the car. 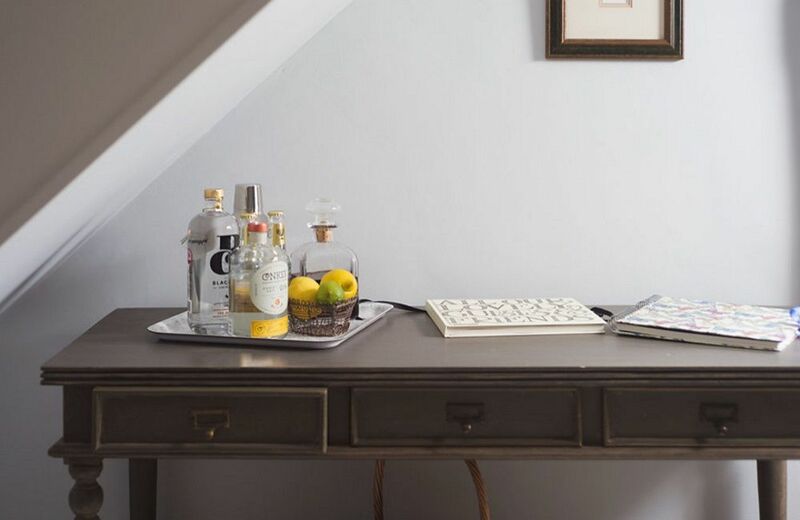 Also, babysitting can be arranged on request, so there’s the chance to sneak off and enjoy a ‘date night’ at the local pub or a cocktail or two with dinner at the trendy Pig Hotel, which is nearby. Tiptoe is in a great spot with open forest starting at the garden gate. Ponies and cattle graze outside the fence and deer, badgers, woodpeckers and birds of prey are frequently spotted. 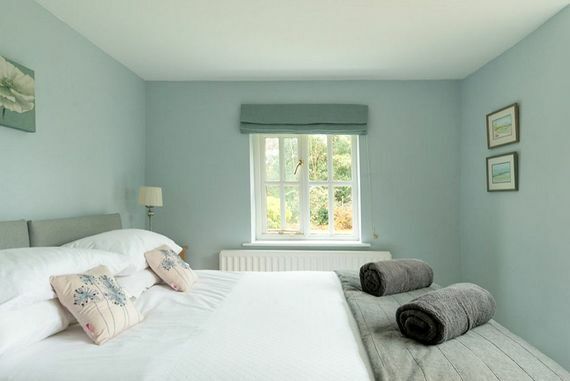 Plus, for guests who can drag themselves away from such a cosy nook, the Hampshire coast is within a short drive, along with Peppa Pig World and there are also three spas nearby, although a massage and beauty therapist will visit the cottage, given enough notice. 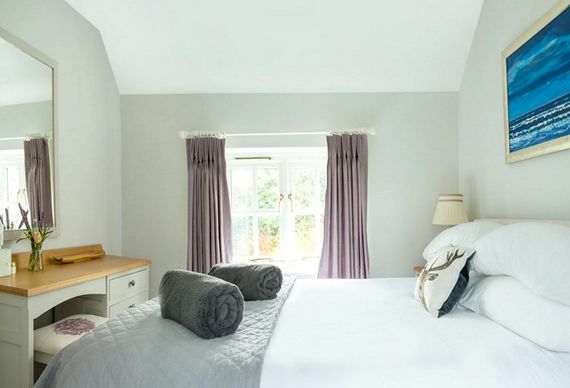 Tiptoe Cottage sleeps up to six in three bedrooms: one double, one double / twin (convertible), and one smaller room that can be adapted to suit two children in beds or cots. 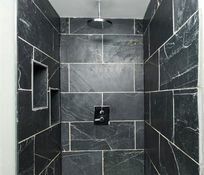 There are two bathrooms, one upstairs, comprising a slate-lined shower room, and the other downstairs with a lovely double ended bath with hand-held shower. 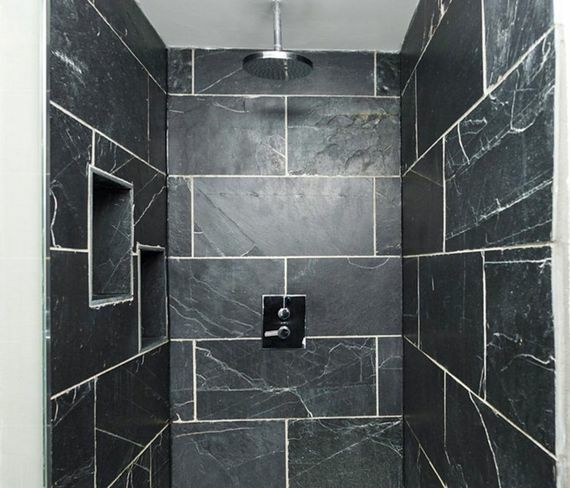 Both come with luxurious thick towels, towelling dressing gowns and New Forest Aromatics toiletries. 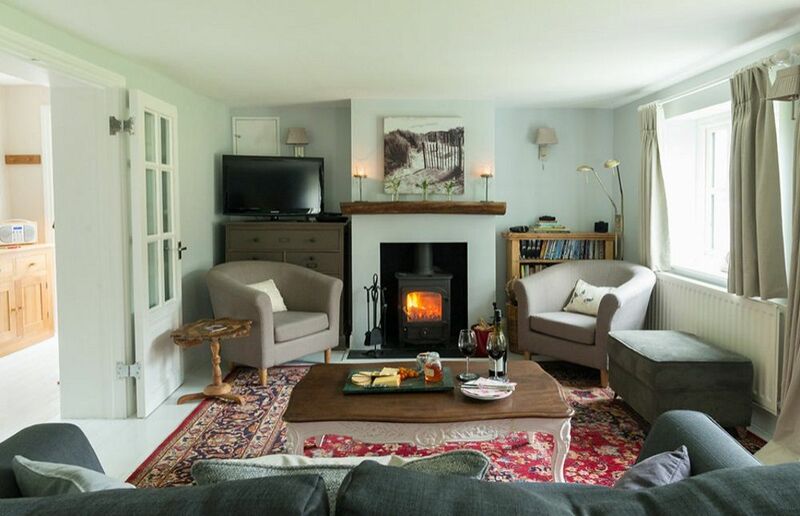 The centre of the cottage is the open-plan sitting and dining room with its warm log burner, flatscreen TV and library of books and DVDs. 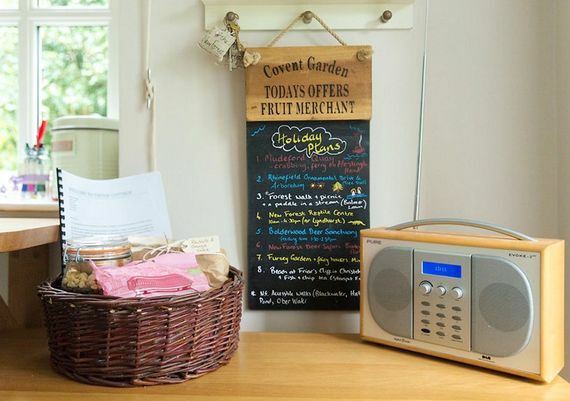 The living area opens onto a fully equipped kitchen complete with essentials like a dishwasher, microwave, large fridge freezer, washing machine and tumble dryer, plus treats such as the Nespresso machine and a pack of local farm shop goodies. Outside, the garden has something for everybody, and for all times of year. For sunshine, there is a barbeque and a patio dining area. For cool evenings, there is a fire pit – logs provided – with seating around it for sitting and watching the stars or listening to the owls at sunset. 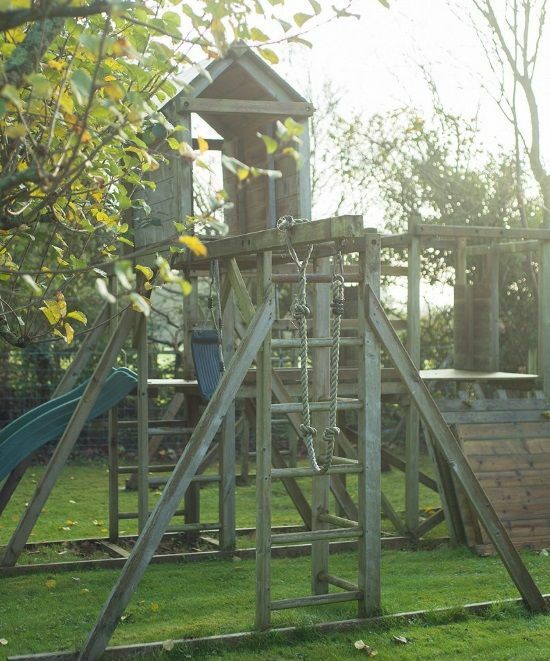 For children, there are swings, a slide and a climbing frame, plus a paddling pool and a sandpit. For everybody, and all times of year, there is a garden room with heating, TV, DVD, WiFi and games. There is a shed for locking bikes away. At Tiptoe Cottage a private gate that backs directly onto a secluded part of the National Park with New Forest ponies and cattle frequently be seen roaming within it, so adventures begin on the doorstep. A short walk takes guests to the popular Rising Sun pub with its big children’s play area or, a longer walk arrives at Sway where guests can enjoy a good lunch at the Silver Hind. Cycles with tag alongs and baby seats can be hired from Burley for the many cycle trails close by. Whilst those who hanker after fresh cream teas, cakes or brunch should take a short drive to the Old Station Tea Rooms. The cottage owners, Jane, Robin and Evelyn previously lived in it and are brimming with recommendations for great place to see and eat nearby. Having taught in an outdoor study centre they have many suggestions on how to get close to nature including: birdwatching, wildlife walks and games of ‘Where’s My Welly!’ Other child friendly local attractions include: Furzy Gardens for finding fairies and Longdown Farm for getting up close and feeding animals, or letting off steam in the ball pit and BIRO wooden play zone. Not forgetting of course that Peppa Pig World is only 20 minutes away. For those who are drawn to the sea, the coast is only 20 minutes away. Mudeford is great for crabbing or lunch at The Beach Hut restaurant, whilst Lymington, a yachting haven, has a great selection of boutique shops and restaurants including the especially child friendly Vanilla Bean Café or the Mayflower Inn. If the weather is good, Exbury Gardens offers a great day out thanks to its amazing gardens with easy to navigate paths or land train for weary little legs. For a special night out with a babysitter booked, there are many nearby restaurants that are well worth including Verveine (Jane and Robin’s personal favourite), Pebble Beach and The Pig. Lovely sandy beaches between 15-20 mins drive away. There's a family pub with play area is a short stroll away. Babysitting is available on request (please pre-book). 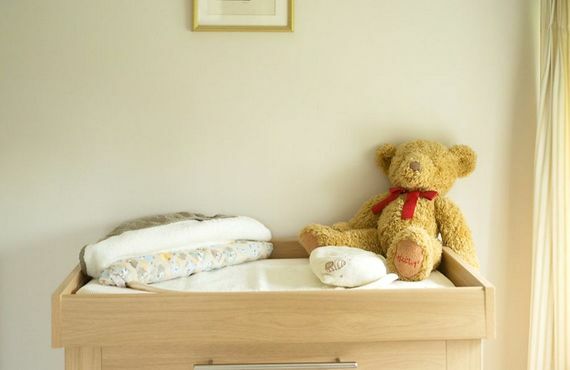 This baby and toddler-friendly cottage offers a host of nursery gear including a travel cot, highchair, changing station with mat, baby bouncer chair, baby bath, baby monitor, play gym/mat, bed guard, stairgate, steriliser, potty, stairgates, bed guards, nightlight, socket covers, plastic crockery, plastic cutlery and sippy cups. 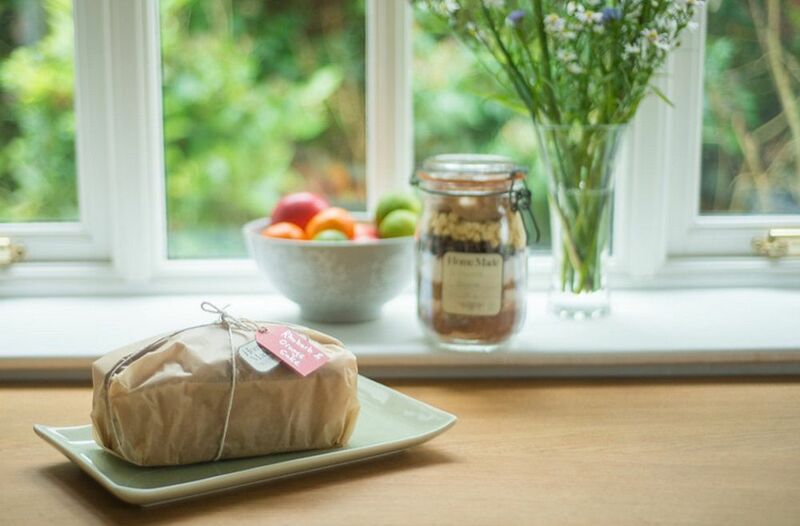 For added relaxation, pre-arrival supermarket shopping can be arranged and 'Cook' gourmet ready meals can be delivered by prior arrangement. Outdoor play gear at this child-friendly cottage includes baby swing, baby slide, standard swing, slide, buckets and spades, paddling pool, sandpit and fishing nets. There's also a brilliant heated play house, which little ones will love. A visiting 'My Private Sanctuary' professional massage and beauty therapist can be arranged. The cottage has a cosy log burner in the lounge/dining area. 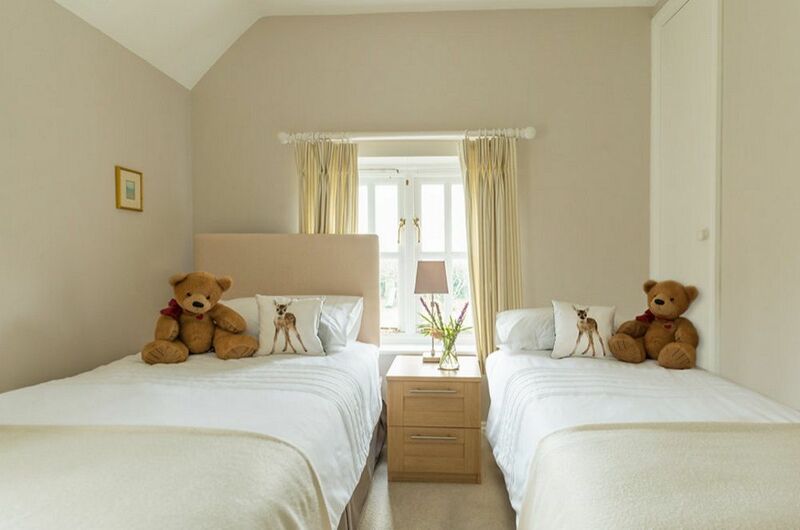 Cosy little cottage fully kitted out for families, thoughtful touches when it comes to what is provided. 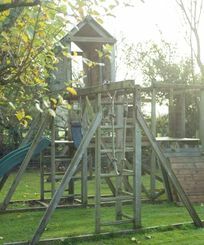 Really great garden with outhouse, swings, sand pit etc - we visited in autumn but want to come back when the weather is better to make full use of it. Excellent location, mid New Forest and close to the coast. Lots to do nearby. We'd recommend it. Tiptoe cottage was a lovely base from which to explore the new forest, the nearby coast and the Isle of Wight. I stayed there with my husband, two sons (5 and 2) and brother and sister in law. 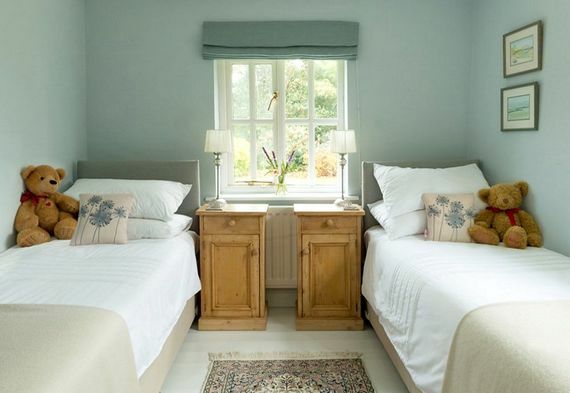 Our boys loved charging around the huge garden, and the cottage itself was very well equipped and stylishly decorated. It was also fantastic to be able to walk straight out the back gate into the forest to see the ponies wandering past. 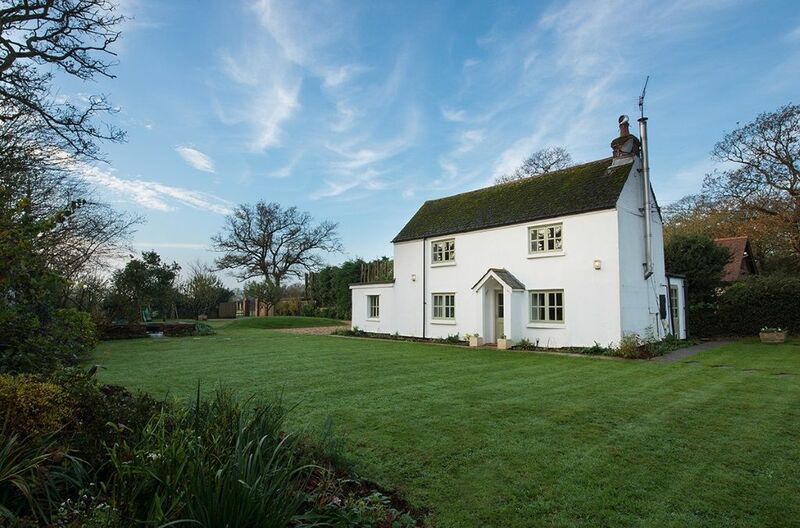 Great New Forest location, lovely cottage in gorgeous garden. The owner has taken great care to think of everything a family would need for a relaxed, fun and comfortable stay in the forest. Our 4 year old is sad to leave! We will definitely come again. The cottage is in a fabulous setting with a gorgeous garden backing on to the New Forest, with ponies right outside the back gate! Lots of lovely touches such as welcome cake, brownie mix and breakfast things. Our 18 month old absolutely loved the playhouse and all the toys and books. Great location for everything the New Forest and south coast has to offer. Highly recommended! 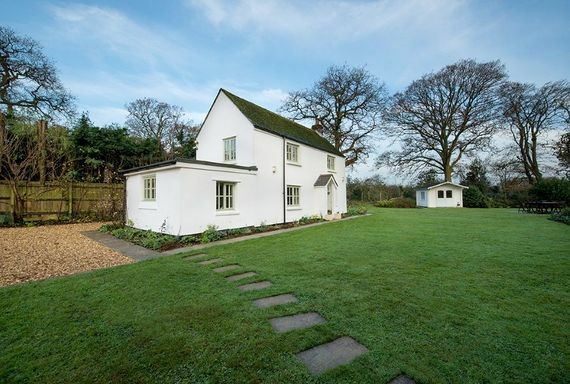 Amazing, quite, well appointed cottage situated in a gorgeous part of the New Forest. Our children loved the wide expansive lawn and outdoor play areas. If you are over 6ft watch out for the door frames as they aren't very forgiving. Lovely cottage in a beautiful setting with plenty of toys and games provided which were much appreciated by our young grandson. Lovely cottage, perfect facilities for little ones and the manager couldn't be more helpful! Lovely cottage with immediate access to the forest. Despite imperfect weather, my 4 year old grandson was entirely happy with the big store of games, heated playhouse, and kit to bake chocolate chip cookies. 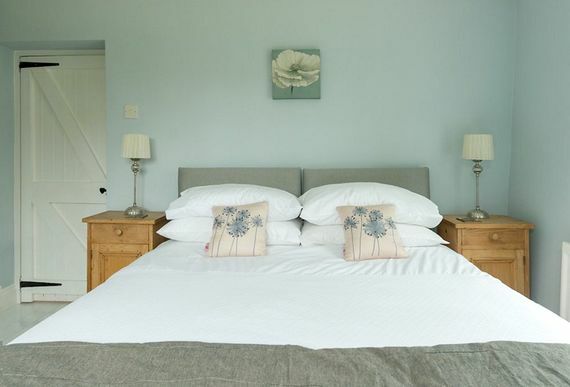 Having stayed in a number of similar holiday properties, Tiptoe Cottage has been by far the best appointed in terms of items provided (in general, not just kids items) and the quality of furniture and furnishings. In addition, the garden is beautiful and a pleasure for adults as well as lots of fun for kids. Our toddlers loved the ride-on tractors, play area and the toys in summer house. Jane provided excellent customer service with a pre-visit phone call to check our requirements and an excellent array of welcome goodies on arrival. It was also great that we could have our groceries delivered and unpacked for us pre-arrival. Everything we could have asked for and more! We had such a lovely stay here! It had everything we needed for a relaxing stay. Our son cried when we left and we felt pretty sad too! Tiptoe really is a home from home. 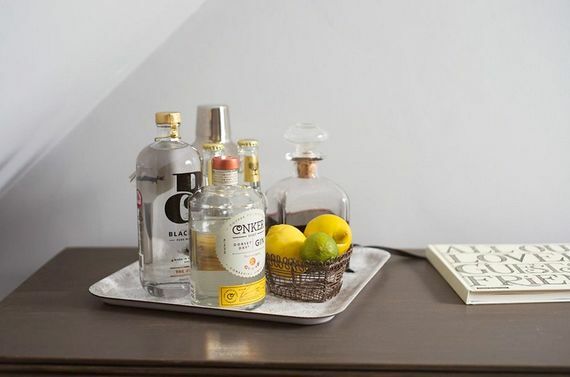 Jane is a wonderful host who makes every effort to personalise the experience of staying at her cottage and she enjoys pampering her guests (but without ever feeling in the slightest way intrusive). The cottage itself is furnished and equipped with real confidence and quality - Ikea need not apply - it just oozes style. The summer play house in the garden and the JCB ride on tractors were a particular hit with our little one but there are so many books, games, toys for young children. The extra flourishes provided by Jane ( a delicious clementine curd demolished even by initial sceptics, a bun to enjoy each day with our tea, a brownie mix for a Granny/Grandson baking extravaganza, superb sausages & bacon from the local farm shop, etc.) were all really appreciated. We haven't ever booked a rental cottage for a return visit (why frankly when there are so many new places to visit) but we this corner of the New Forrest is beautiful and we loved Tiptoe Cottage (it is just perfect for a young family) so we are looking forward to another visit soon. Wonderful week. Jane is very thoughtful and location is fantastic for small children! We had an absolutely fantastic stay at Tiptoe cottage. Truly a home from home with all the necessary kit to make life easier with children. 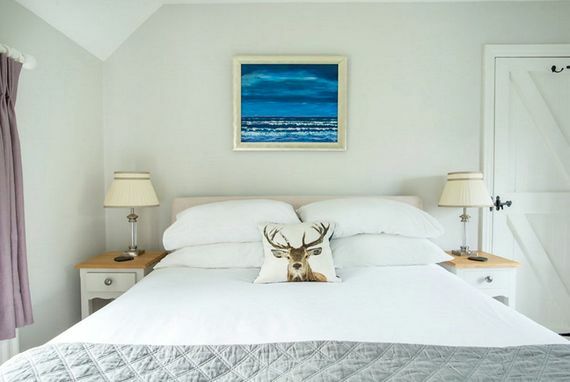 Fantastic touches make this cottage luxurious. The location simply cannot be beaten The lovely little touches like a freshly baked cake and having your pre ordered shopping put away was the icing on the cake. Really lovely, thoughtful owner. Would highly recommend and we will be returning. We had a wonderful week at Tiptoe Cottage. Our 2 year old son loved the huge garden & playhouse so much he didn't want to leave. And the extra touches added by Jane, such as the freshly baked apple cake, and make your own brownies pack, were an added bonus. The cottage is in a great location with the New Forest accessible from the back garden. We look forward to returning again soon! lovely garden and a nice setting . Fantastic cottage - high-quality, really well-equipped for young families and plenty to keep the kids happy. Highly-recommended! A wonderful cottage in a super location. We shall be back! Absolutely outstanding! Stunning cottage with beautiful gardens. 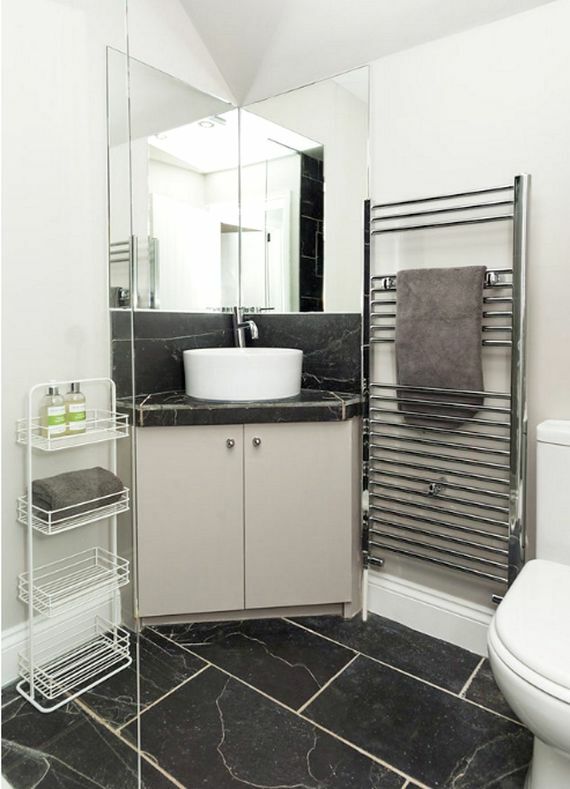 Immaculately clean and wonderful attention to detail with luxurious decor and home comforts. A fantastic selection of high quality toys, baby and child accessories and equipment. Great location for visiting many attractions. Jane was a wonderful host, great communication and extremely helpful. We can't wait to go back! ....a little bit of luxury is still possible even on a family holiday with young children! We had a fabulous time at Tiptoe Cottage. The accommodation was perfect for our baby boy and his active two-year-old sister - lots of toys and equipment to amuse them and the New Forest literally at the back of the house! The owner, Jane, was very attentive and had some very helpful suggestions for things to do in the area. We had a wonderful time exploring the nearby coast, cycling trails and a last minute decision to stop at Furzey Gardens on the way home. All in all a brilliant family holiday. Thank you! A very pretty, cosy and comfortable cottage in a beautiful and peaceful location. Our little toddler adored tearing around the large, secure, flat garden and playing in the sand pit/on the slide. There are lots of places to walk/cycle/visit nearby but it's impossible not to just laze around at the cottage/in the garden watching/listening to the wildlife as it's such a lovely and relaxing setting. Well equipped, safe and very suitable for babies/toddlers. Looking forward to visiting again. Beautiful cottage, amazing location, great child / baby kit. We had an amazing week here. So much to do in the area and being able to walk out of the cottage gate and into the forest (complete with ponies) was amazing. Jane was so helpful and having high chairs, travel cots, monitor, bed guard, changing table, potty, child step etc. all there made packing so much easier! Our 5 year old, 2.5 year old and 10 month old loved it, and so did we. Tiptoe is a traditional cob cottage, set in the beautifully serene New Forest National Park. Reinvented with modern interiors without losing its traditional charm, it offers an exceptional family retreat. 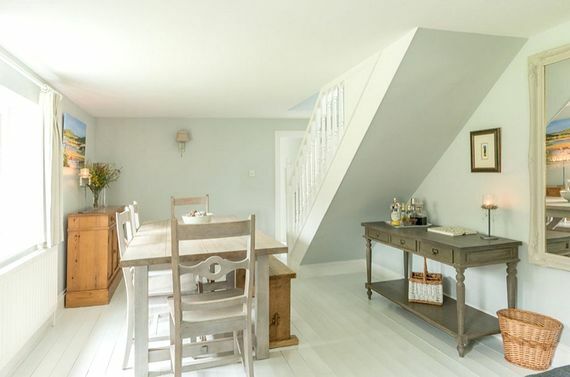 Owners Jane and Robin lived here with their daughter, so it feels like a genuine family home rather than just a holiday rental. Homely, stylish and luxurious, everything is very high spec from the custom made furniture to the fluffy White Company bathrobes and Molton Brown products. We visited on our first trip away with our six week old baby Harvey, and Tiptoe exceeded our expectations in making it as stress-free as possible. Our packing list was halved thanks to everything which was provided, including a travel cot, monitors, baby bath, changing unit, steriliser, playmate, bouncer and even a breastfeeding cushion. Dimmer switches in the bedrooms made settling Harvey at bedtime much easier. For older children there's stair gates, highchairs and a full cutlery set, as well as a brilliant outdoor playhouse with WiFi, a TV and sofa bed. An abundant supply of games, books and DVDs, as well as a climbing frame and spacious lawns to expend excess energy, should keep everyone happy. Jane welcomed us with homely touches of fresh flowers and fruit, as well as a hamper full of local goodies. 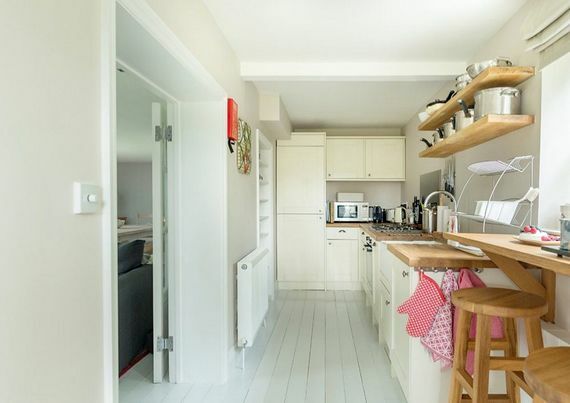 The kitchen is well equipped for self catering (as a sleep-deprived, coffee-loving mum, I adored the Nespresso machine), and there's plenty of wonderful pubs and restaurants a short walk or drive away. Tiptoe is right in the heart of the National Forest National Park with stunning walks on the doorstep. You can stumble out of the back gate onto the heath or drive further afield for forest, hill and beach rambles. Animal lovers are in their element and I had to prise the binoculars from my husband who was intent on spotting the resident owl. The cottage garden is abundant with wildlife and a substantial bird feeding station played host to many winged visitors during our stay. Chickens wander around the driveway of the cottage and an exploration of the surrounding roads quickly brought us face to face with grazing ponies. The nearest main town of New Milton has everything in terms of amenities and even closer is the Danestream Farm Shop, selling all manner of fresh produce. 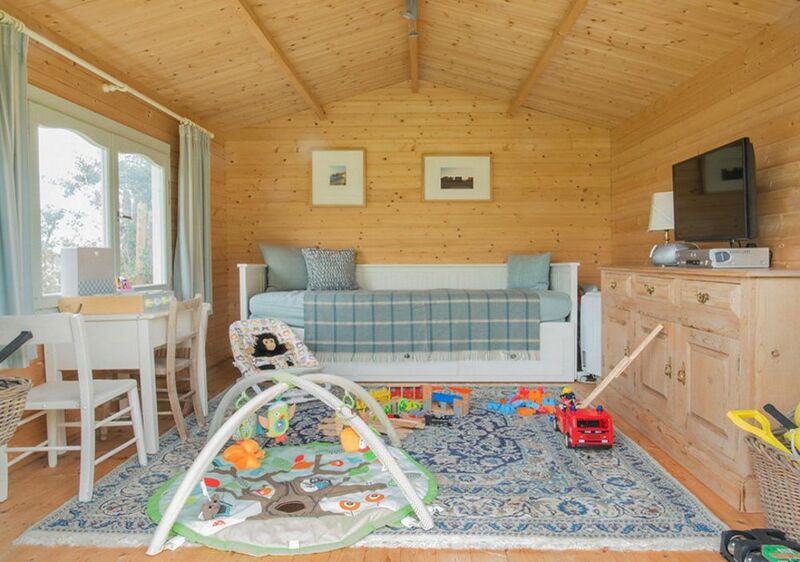 We would highly recommend a stay at Tiptoe and I look forward to returning when Harvey is old enough to appreciate the outdoor climbing frame and play den!